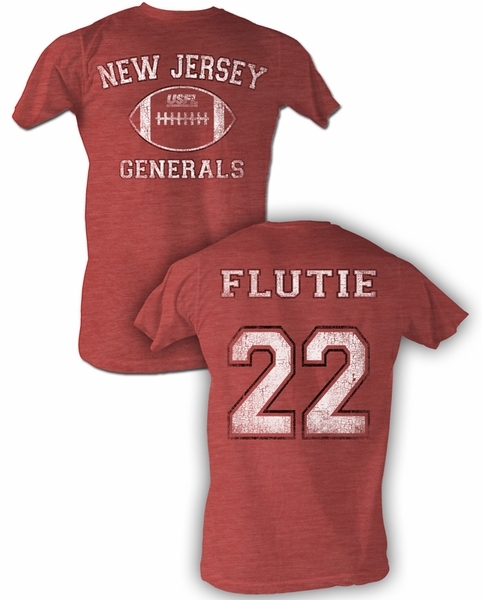 This USFL New Jersey Generals Red T-shirt features a distressed image of the New Jersey Generals with a football on the front of the shirt and Flutie 22 written in a distressed print on the back of the shirt. Our United States Football League T-shirt is an awesome adult t-shirt for any USFL fan. The USFL also known as the United States Football League was found in 1982.